The key component in CLVM is clvmd. clvmd is a daemon that provides clustering extensions to the standard LVM2 tool set and allows LVM2 commands to manage shared storage. 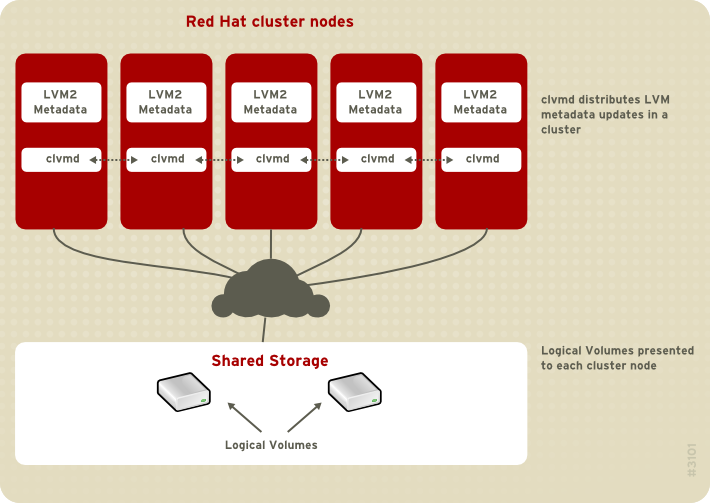 clvmd runs in each cluster node and distributes LVM metadata updates in a cluster, thereby presenting each cluster node with the same view of the logical volumes (refer to 図1.14「CLVM Overview」). 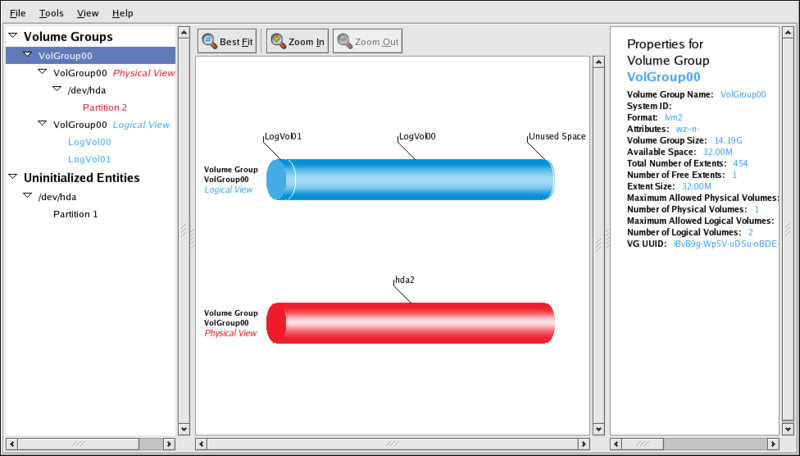 Logical volumes created with CLVM on shared storage are visible to all nodes that have access to the shared storage. CLVM allows a user to configure logical volumes on shared storage by locking access to physical storage while a logical volume is being configured. 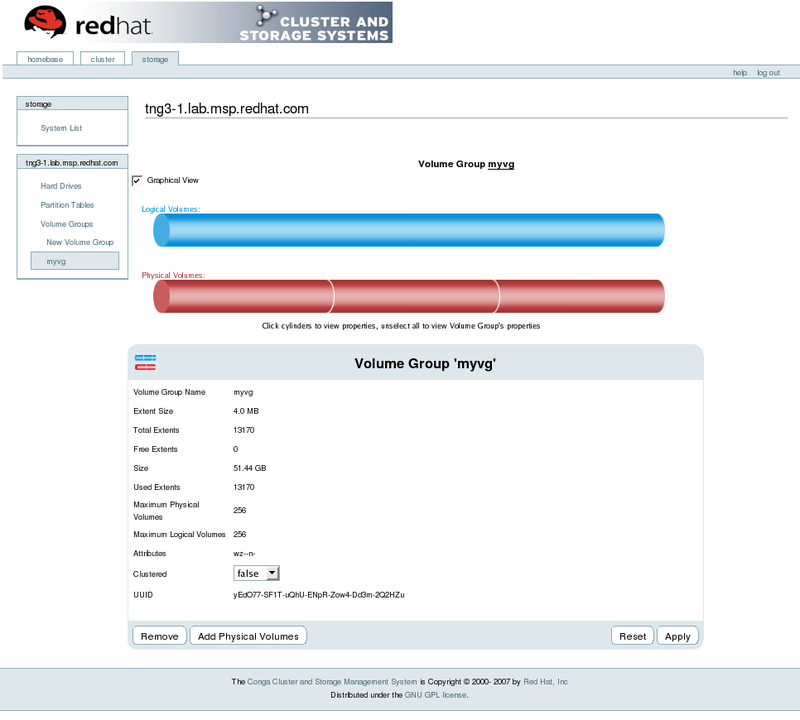 CLVM uses the lock-management service provided by the cluster infrastructure (refer to 「Cluster Infrastructure」). You can configure CLVM using the same commands as LVM2, using the LVM graphical user interface (refer to 図1.15「LVM Graphical User Interface」), or using the storage configuration function of the Conga cluster configuration graphical user interface (refer to 図1.16「Conga LVM Graphical User Interface」) . 図1.17「Creating Logical Volumes」 shows the basic concept of creating logical volumes from Linux partitions and shows the commands used to create logical volumes.